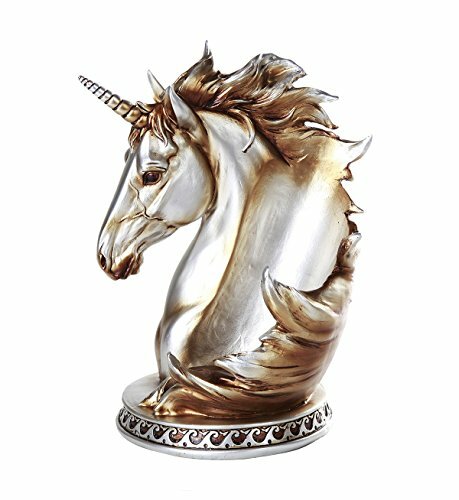 Add some flair to your home decor with this unique tabletop wine holder featuring a majestic unicorn. The unicorn is a legendary creature that has been described since antiquity as a beast with a single large, pointed, spiraling horn projecting from its forehead. Perfect for displaying rare collectible wine. Approximate Dimensions: 7 1/2" x 6 1/8" x 10 1/4" high. Weight: 3.5 lbs.